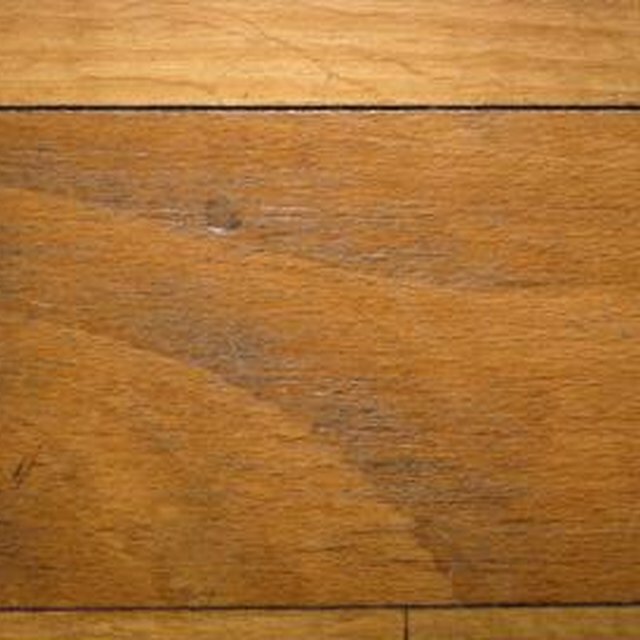 Cupping in a hardwood floor is when the center of a wood board is lower than its edges. Water damage can cause cupping in a wood floor, but the more common reason is high humidity. Water (or dampness) causes the wood to expand. When the planks expand, the edges crush against each other and rise. Many times you can correct cupping in your floor by removing the source of the dampness in the wood. Identify why moisture is in your wood. Reasons could range from a leak from a pipe or appliance, high humidity in the room or excessive moisture traveling upwards from the basement below your floor. It does no good to correct the cupping if it is just going to happen again. Check the humidity in the room with a hygrometer (or humidity sensor). Hygrometers are inexpensive and can be found at home improvement stories. A hygrometer will tell you whether the room has too much or too little humidity. Correct the humidity level in the room with a humidifier or dehumidifier, if necessary. Wait to see if the cupping goes away and the floor levels out on its own after removing the source of moisture. Use floor fans and dehumidifiers to help the wood dry. Take moisture readings of your floor. Information about moisture readers can be found at woodfloorsonlinecom. Sand and refinish your floor if the cupping has not gone away and the moisture reader shows the wood in your floor is now completely dry. Be aware that humidity levels often change during the different seasons in a year. In extreme cases of cupping, the floor can become detached from the subflooring below it. The cupped part of the floor may have to be replaced if this is the case. hardwoodflooringtalk.com: Cupped Hardwood Floors. Why?